Sometimes, the gift you thought was absolutely perfect doesn’t go over so well. Sure, your giftee may seem happy, but, deep down, you know your present was a total dud, and they’ll be exchanging it for something they actually want before that gift receipt expires. Well, we’re letting you in on a little holiday-gifting secret; there are items that will work for everyone on your list. Maybe, you’re not 100% sure what to get the random coworker you drew for this year’s Secret Santa or the aunt who is impossible to shop for. It happens. We found 22 fool-proof picks for all the people in your life you’ve got a big question mark next to. We also included a handy list of dos and don’ts to help steer you in the right direction. Sound good? Let’s get started. DON’T pick up the first thing you see at Hallmark. DO take into account your giftee’s interests with a themed calendar. Pro tip for frazzled souls: Buy one for 2019, not 2018. 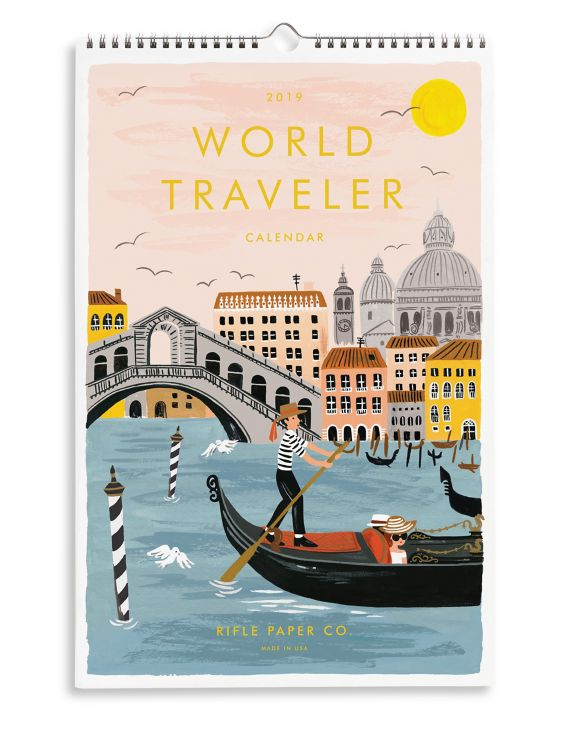 Rifle Paper Co 2019 World Traveler Calendar, $26, available at Saks Fifth AvenuePhoto Courtesy of Amazon. DON’T buy fine jewelry unless you’ve got ironclad knowledge about the person’s taste — or they’ve bookmarked something specific for you to shop. DO be personal. But, not too personal. A customized necklace is an easy (and cute) gift. 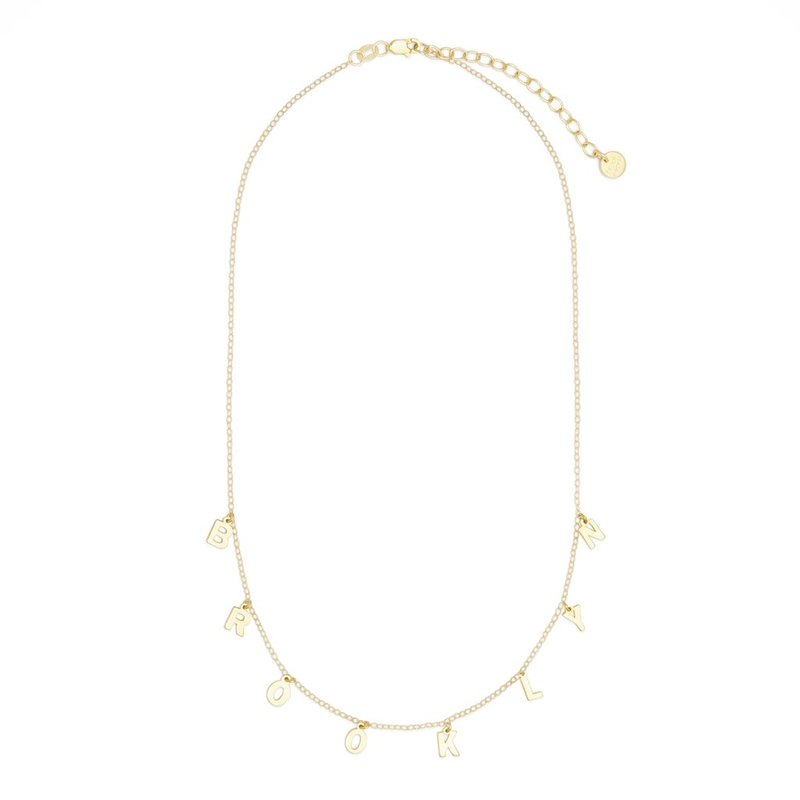 Brook & York Sofia Spaced Name Necklace, $160, available at Brook & YorkPhoto Courtesy of Net-a-Porter. DON’T try to guess someone’s style with an out-of-the-box fashion gift. 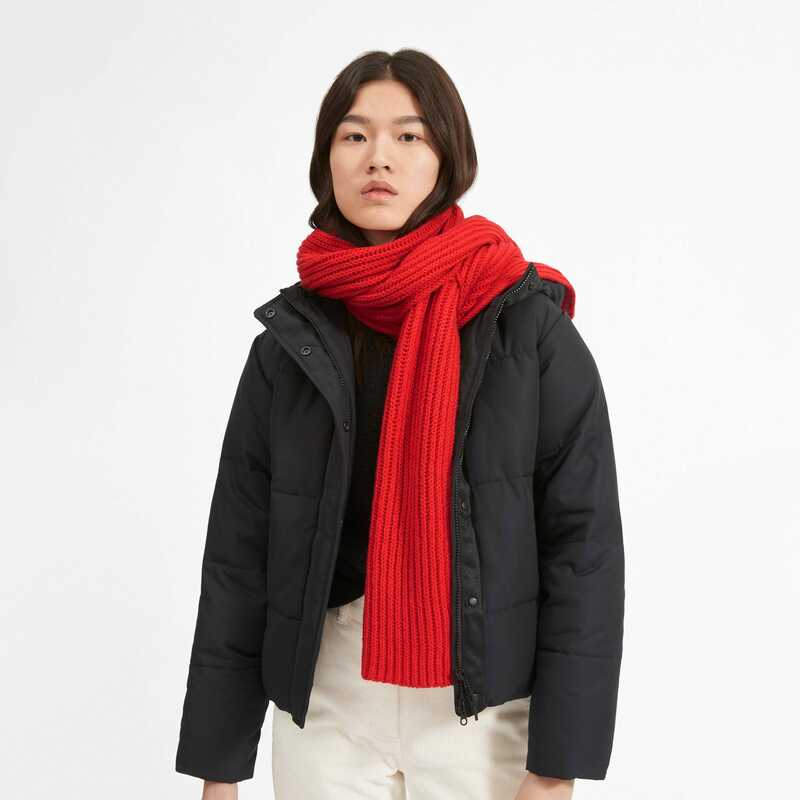 DO give the gift of warmth with a cozy accessory that goes with everything. DON’T insult someone with a beauty treatment that might be taken the wrong way. DO give out dad hats left and right, because everyone has bad hair days sometimes. 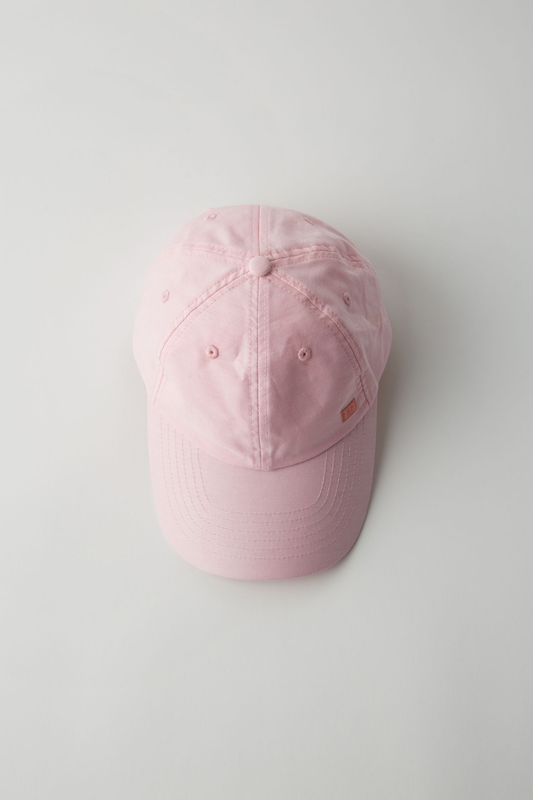 Acne Studios Baseball Cap, $110, available at Acne StudiosPhoto Courtesy of Acne Studios. DON’T think too seasonal when you’re gift shopping — red and green only look fun and festive for so long. DO give gifts that can actually be used year round. 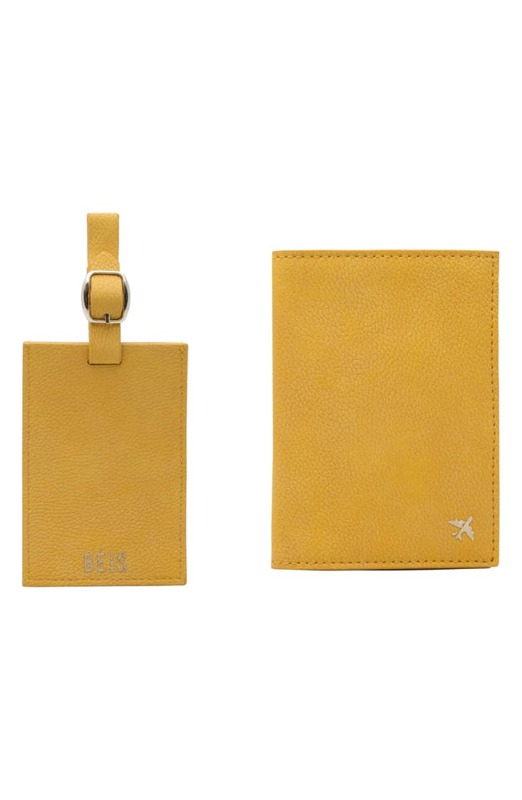 Béis Travel Luggage Tag & Passport Holder Set, $25, available at NordstromPhoto Courtesy of Nordstrom. DON’T waste money on a gift set that’ll go right to the garbage. DO get one that’ll be a life-saver this winter. C.O. Bigelow Rose Salve, Mentha Lip Shine and My Favorite Lip Balm, $22.5, available at Net-A-PorterPhoto Courtesy of Net-a-Porter. 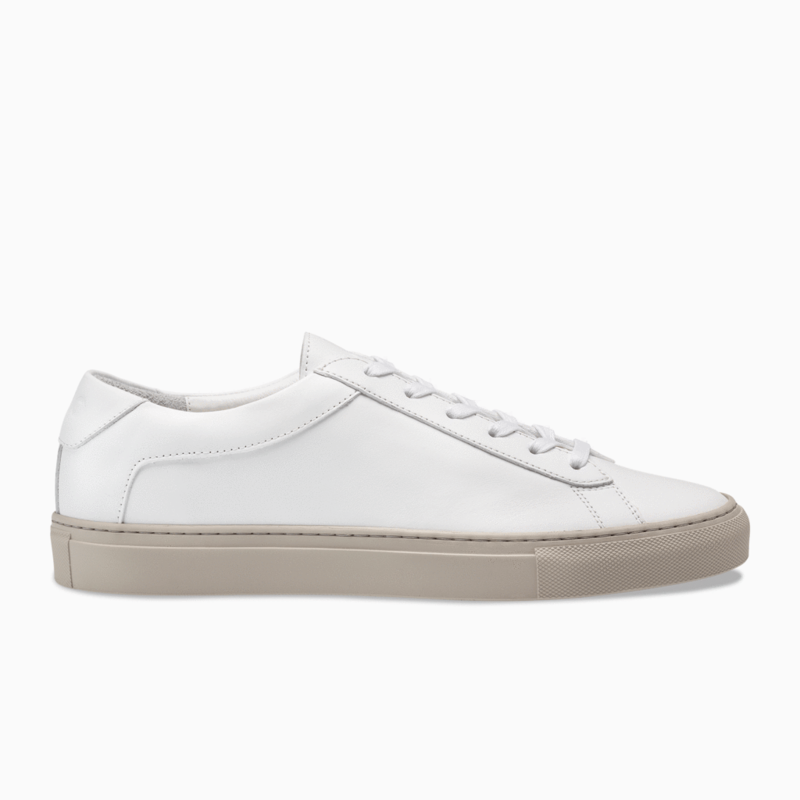 DON’T let your friends keep wearing their beat up sneakers from their days tailgating in college. DO treat them to a new pair that will go with everything. Koio Capri Creme, $248, available at KoioPhoto Courtesy of Koio. DON’T regift those eccentrically colored gloves grandma gave you last year at this year’s Secret Santa. DO take people’s needs into account. These texting-enabled gloves have convenient slits on the thumbs and index fingers. Because, why should the cold keep your friends from staying in touch? 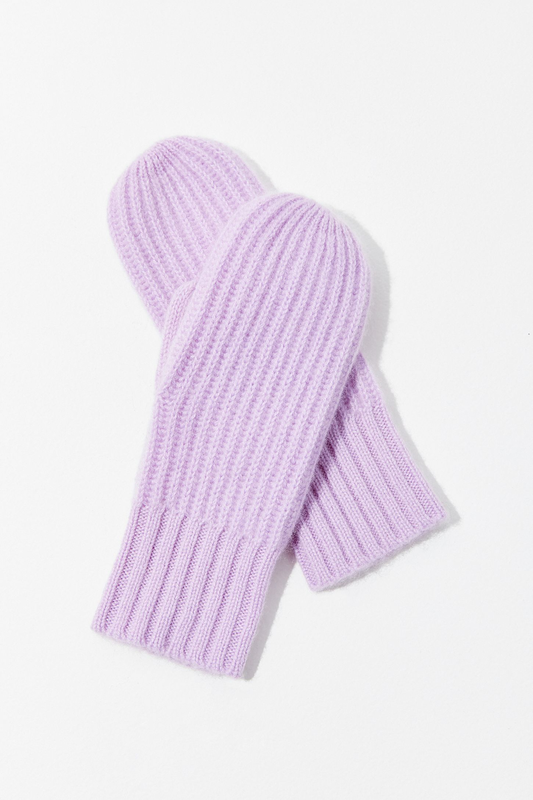 Urban Outfitters Cashmere Mitten, $19.5, available at Urban OutfittersPhoto Courtesy of Urban Outfitters. DON’T buy lingerie for people who aren’t your significant other. 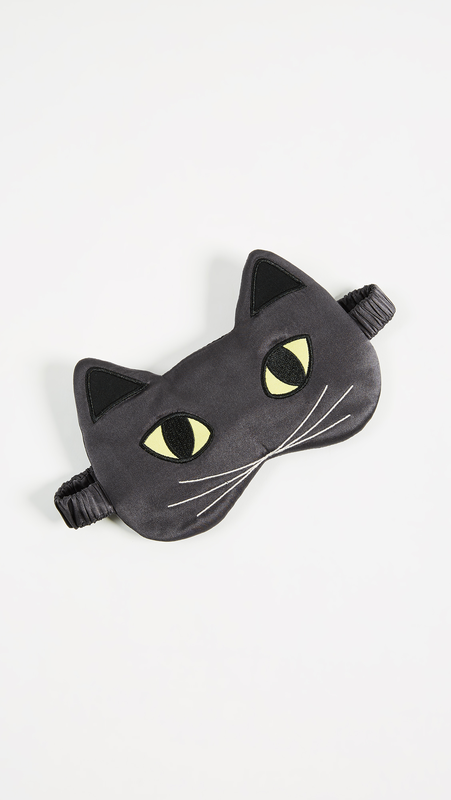 DO shop for a playful sleep mask instead. It’s something people don’t always think to buy for themselves. Morgan Lane Cat Mask, $110, available at ShopbopPhoto Courtesy of Shopbop. DON’T buy meaningless presents that carry no meaning. DO shop while simultaneously supporting the causes that need it most, like art from this site where proceeds go to organizations that have been threatened since Trump came into office. 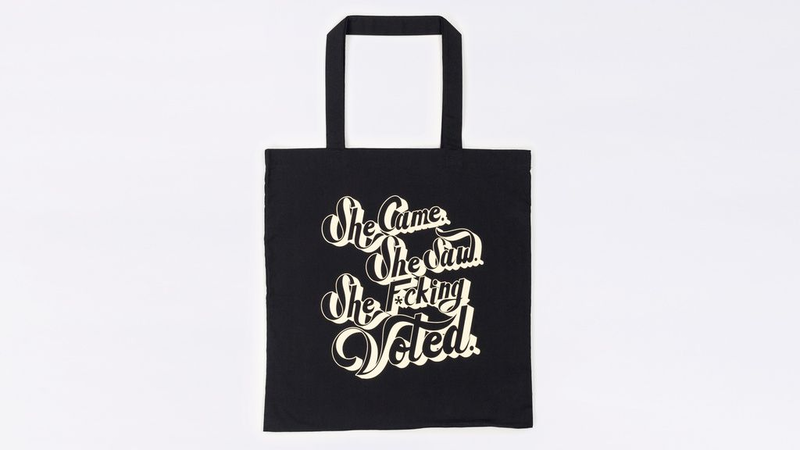 Wildfang x Refinery29 She Voted Tote, $10, available at WildfangPhoto Courtesy of Wildfang. DON’T fall back on another candle or more chocolates. DO scope out the giftee’s phone size and surprise them with a brand new case. 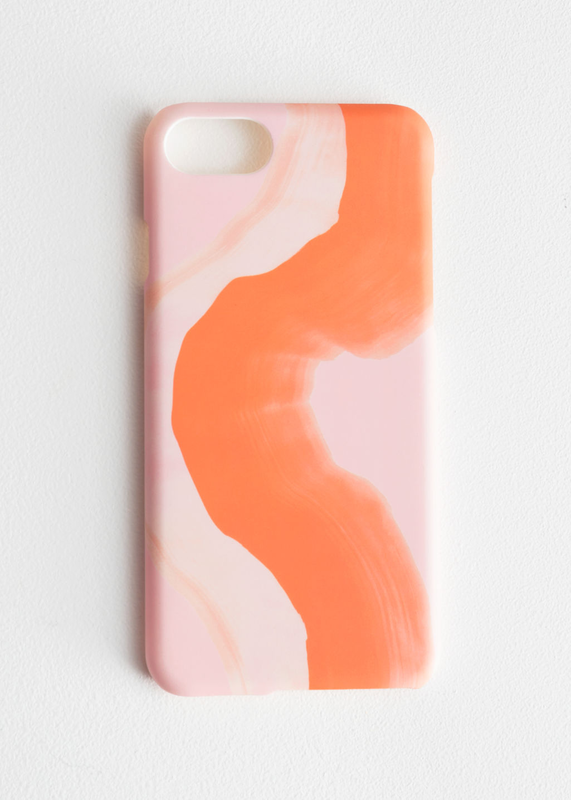 & Other Stories Watercolour iPhone 7 Case, $9, available at & Other StoriesPhoto Courtesy of & Other Stories. DON’T try to buy a framed print for the host if you don’t know them that well. DO arrive to the dinner party with a chic set of coasters that’s sure to fit any personality. 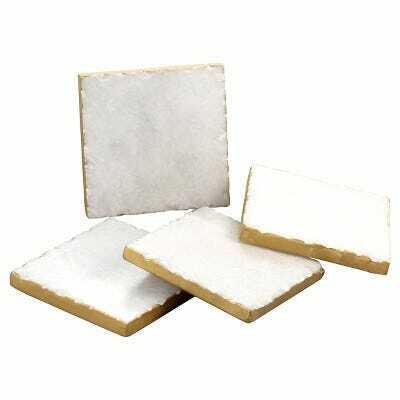 Thirstystone Thirstystone Marble Coasters Set of 4, $13.99, available at TargetPhoto Courtesy of Target. DON’T buy any hat that’s not one-size-fits-all. DO scout out a beanie with a little character. Make sure it’s super-soft, too. 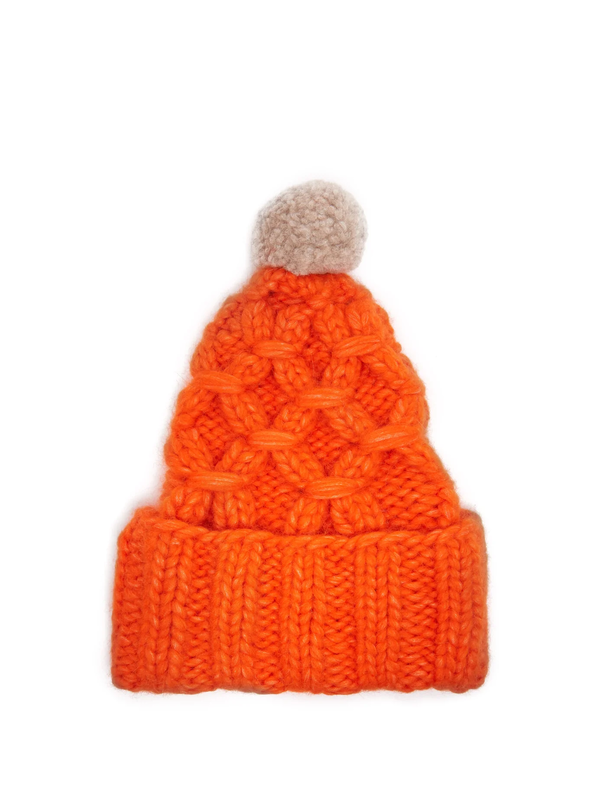 Lola Hats Braces Heavy Knit Beanie Hat, $188, available at MatchesFashion.comPhoto Courtesy of Matches Fashion. DON’T dump a ton of money on an unnecessary gadget. DO give any phone-obsessed friend a change of pace with a fun instant camera. 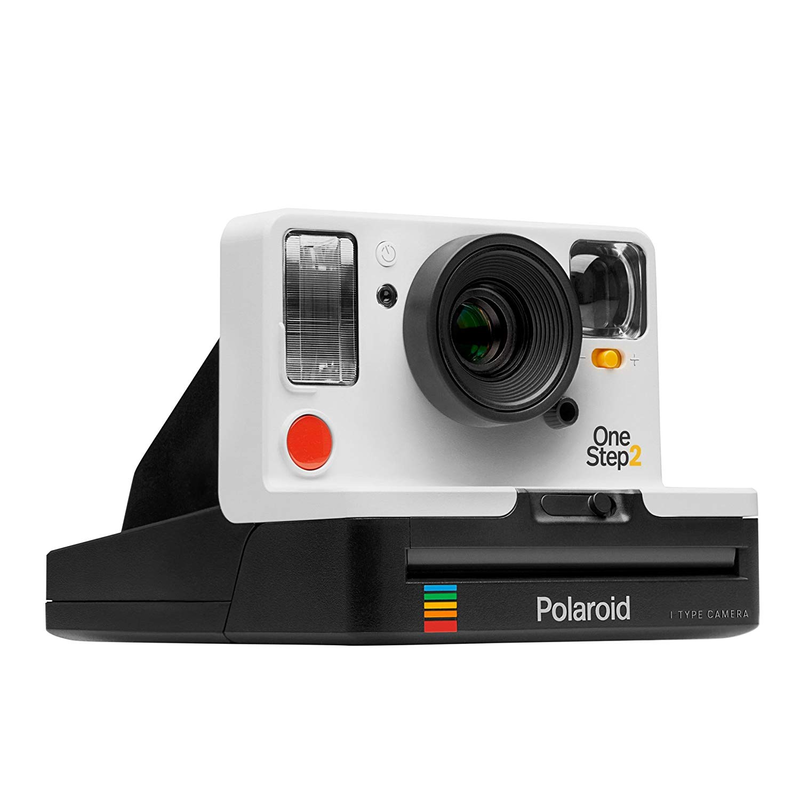 Polaroid Originals Polaroid Originals OneStep 2 VF, $99.99, available at AmazonPhoto Courtesy of Amazon. DON’T call up Dunder Mifflin and order your “favorite” aunt five reams of paper. 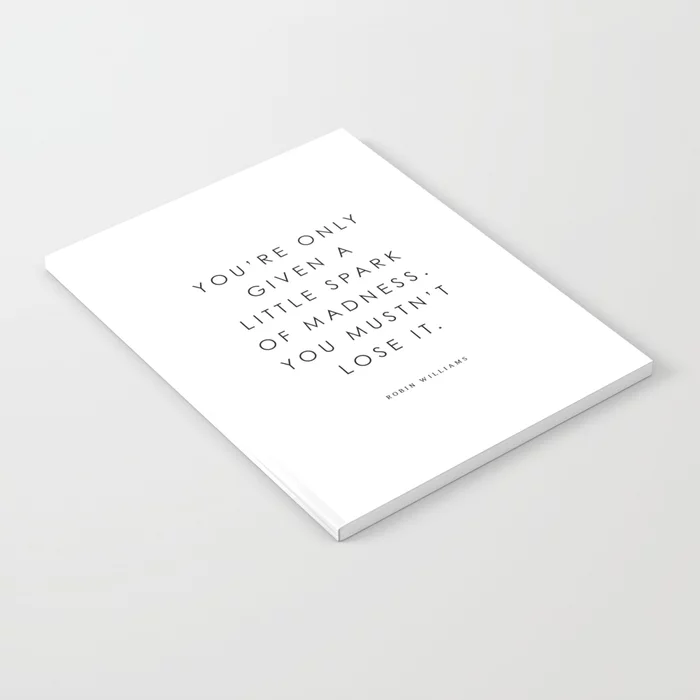 DO select a notebook with a fun, personal sentiment. Even if she’s, well, not your favorite aunt. Evelyne van den Broek Spark Notebook, $14.99, available at Society 6Photo Courtesy of Society 6. DON’T give any gifts that take up way too much space in anyone’s closet. DO give a stylish present that takes up minimal real estate (mostly because they’ll be using it so much). 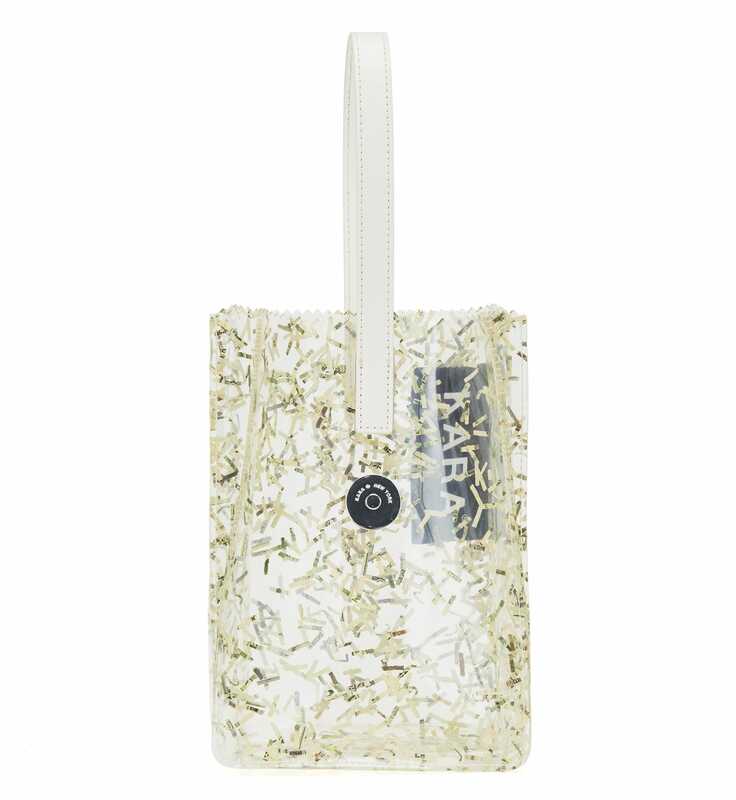 Kara Money Shred Pinch Wristlet, $295, available at KaraPhoto Courtesy of Kara. DO find patterns that’ll look cute styled with ankle boots. 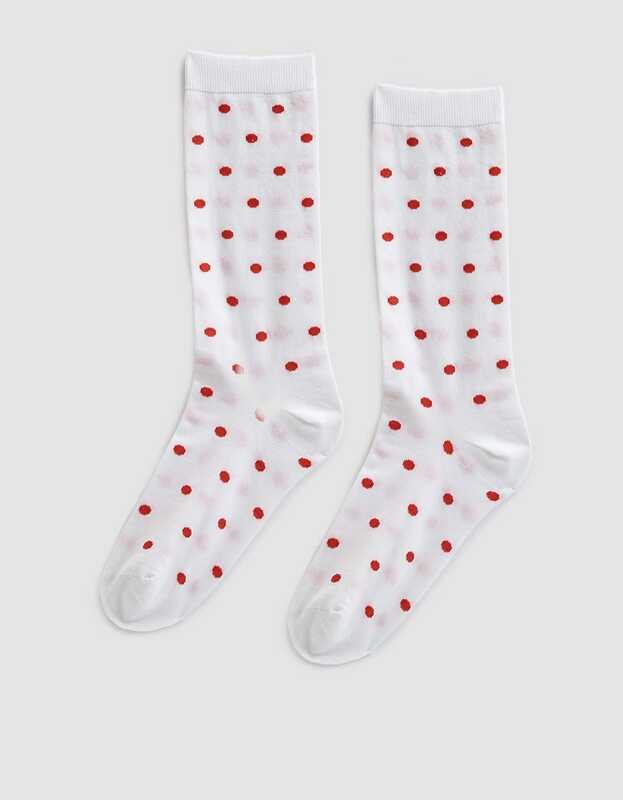 Ganni Classon Dot Socks, $11.99, available at Need SupplyPhoto Courtesy of Need Supply. DON’T give hand-me-downs to someone that’s not your younger sister. DO give a fun graphic tee, because everyone loves a good throwback. 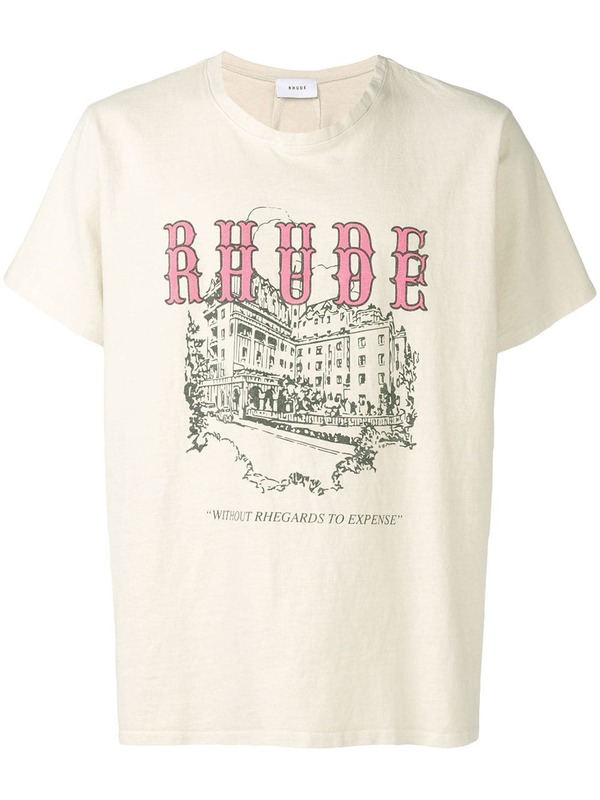 Rhude Museum-Print T-Shirt, $143, available at FarfetchPhoto Courtesy of Farfetch. DON’T shy away from shades. DO keep them sleek and classic, and include the gift receipt for easy exchanging. If you ask us, no one can ever have too many sunglasses. DON’T buy fine art for someone whose taste you aren’t familiar with. DO opt for an artfully printed scarf, instead — it’s a safer bet, and they can either wear it or frame it. 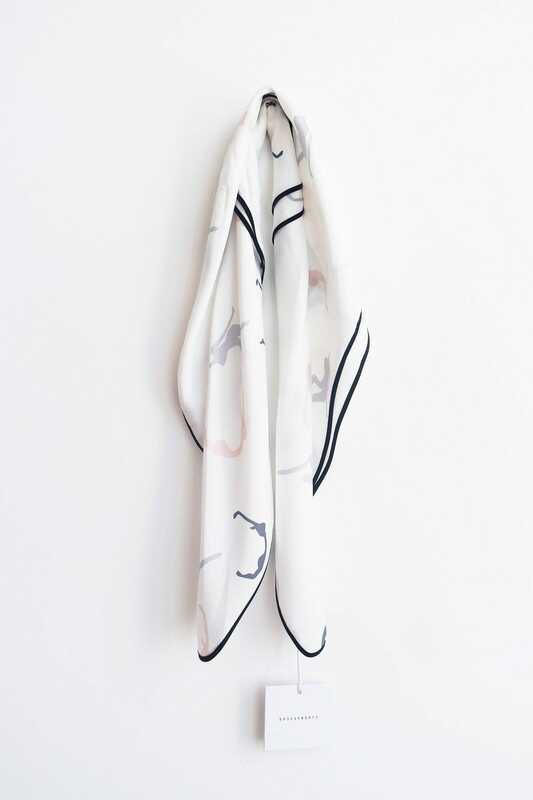 Oh Seven Days Hannah Print Scarf, $45, available at Oh Seven DaysPhoto Courtesy of Oh Seven Days. DON’T let anyone’s feet go cold this winter. 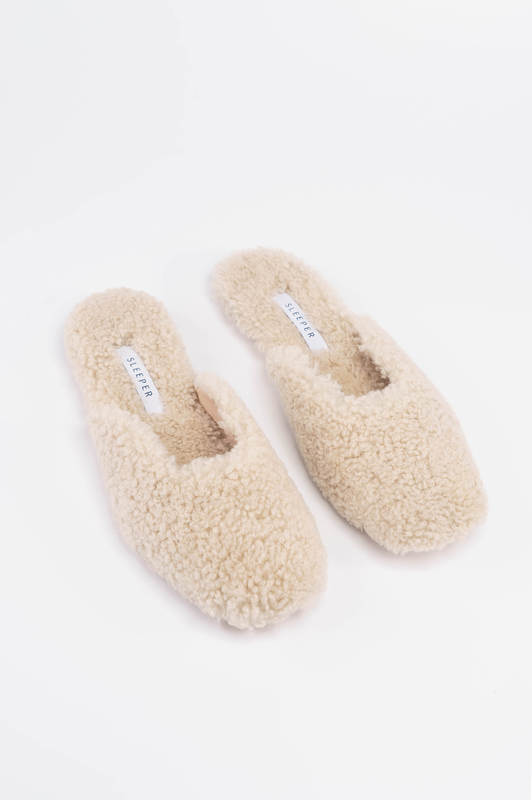 DO be the one who gifts fluffy-as-can-be slippers that no one will want to take off. DON’T just give money in a card to someone you don’t know that well. DO give a classic wallet that anyone will appreciate. 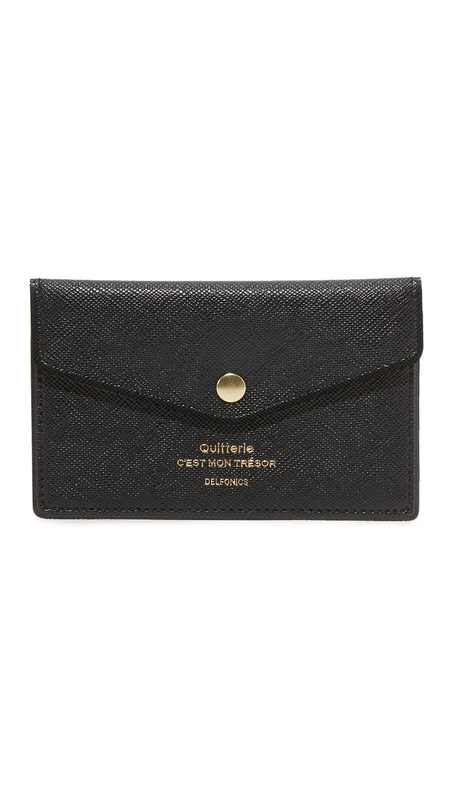 Delfonics Quitterie Card Case, $15, available at East DanePhoto Courtesy of East Dane.